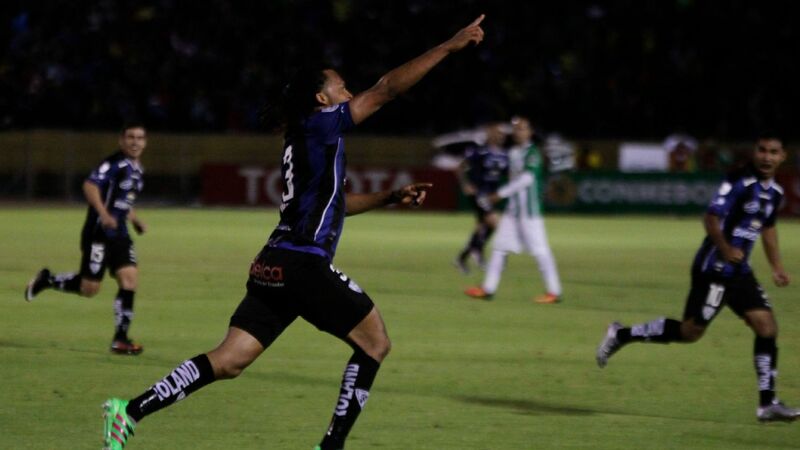 Jorge Wilstermann's Zenteno celebrates after scoring against Atletico Mineiro. The team named after a pioneer of Bolivian aviation have flown down to Buenos Aires ahead of the most important 90 minutes in their history. 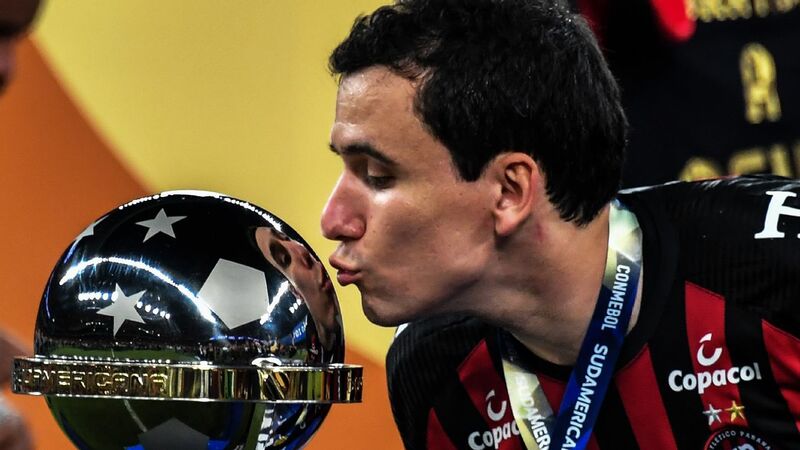 Jorge Wilstermann, from the city of Cochabamba, are one more dogged defensive performance away from making it through to the semifinals of the Copa Libertadores, South America's Champions League. In last week's quarterfinal first leg, they thrashed Argentine giants River Plate by the astonishing margin of 3-0. Thursday's rematch will be tougher. At home, they have the advantage of altitude. Now they will face a packed stadium baying for goals. Wilstermann, who have won all their home games, have yet to win away. All their trips have ended in defeat, with the exception of last month's heroic 0-0 draw against the 2013 champions Atletico Mineiro of Brazil, which guaranteed their place in the quarterfinals. Now they will look for something similar against the 2015 winners. Wilstermann's defensive trident -- goalkeeper Raul Olivares and the experienced centreiback combination of Edward Zenteno and the Brazilian Alex de Silva -- will be put to the test. River would be going into a more favourable position had centre-forward Ignacio Scocco not blazed over the bar twice when well placed. The well-travelled Scocco is a recent replacement for Lucas Alario, who chose to join Bayer Leverkeusen in the summer transfer window. 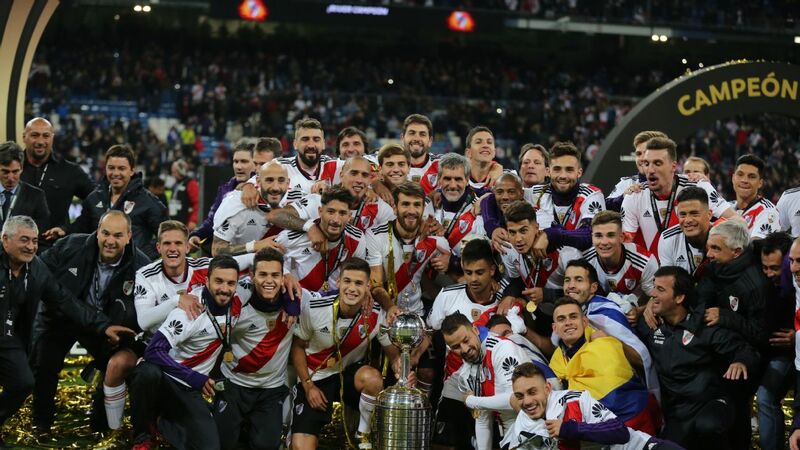 Towards the end of last week's match, one Argentine radio commentator unleashed a stream of abuse at Alario for leaving River Plate at such a moment. 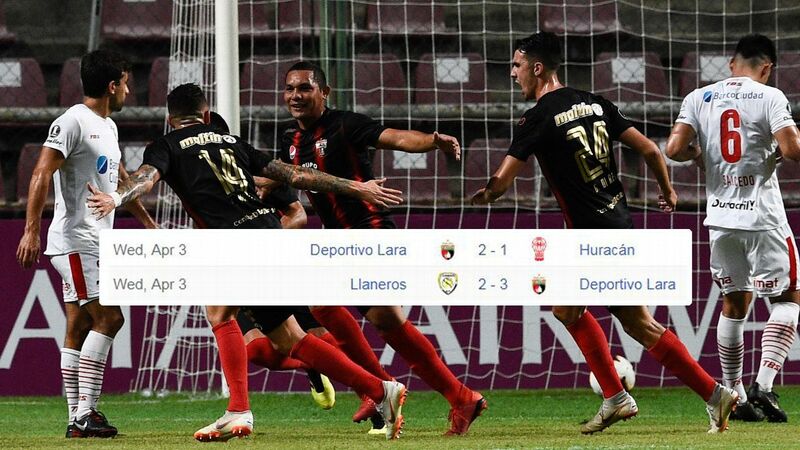 Wilstermann will hope that, needing three goals merely to force penalties, Alario's former teammates will show a similar lack of emotional balance, allowing the Bolivian fairy tale to continue. Another Buenos Aires club, San Lorenzo, are also entitled to see their Libertadores campaign as a fairy tale. The 2014 champions looked down and out in the early goings of the group stage, losing their first game 4-0 and their next one 1-0. A draw at least brought them one point, but when they were tied at 1-1 with Chile's Universidad Catolica inside the last 10 minutes, elimination looked inevitable. On came Cristian Barrios to make his professional debut, and with his first touch the tiny attacking midfielder scored the winning goal -- with his head. It was the type of event to make the club's fans believe that their name is on the title. 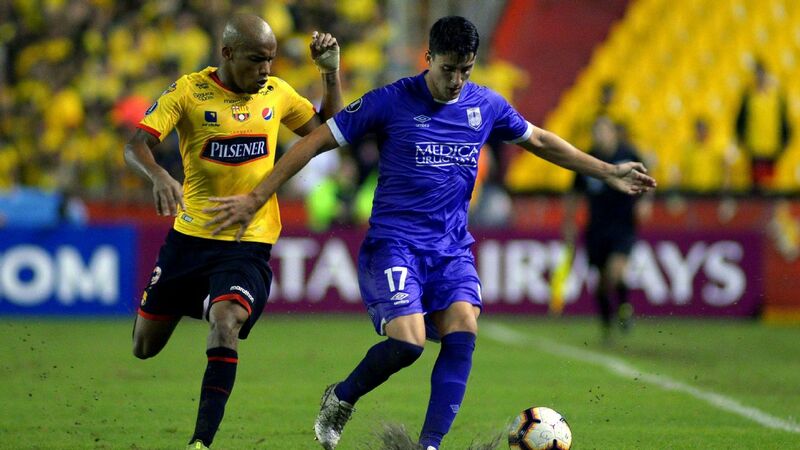 They won their last two group games, saving themselves in the final match against Flamengo with a winner in stoppage time, and then came through penalties against Emelec of Ecuador to reach the quarterfinals. It has been struggle all the way, but last week's 2-0 win over fellow Argentines Lanus puts San Lorenzo in a very strong position going into the return leg. One San Lorenzo goal on Thursday will oblige Lanus to score four. The three Argentine sides and the Bolivian club are all in one half of the draw. The other half has three Brazilians and Barcelona of Ecuador, and both ties are all square after last week's first leg. Barcelona were held 1-1 by Santos, a result that makes the Brazilians favourites to go through. 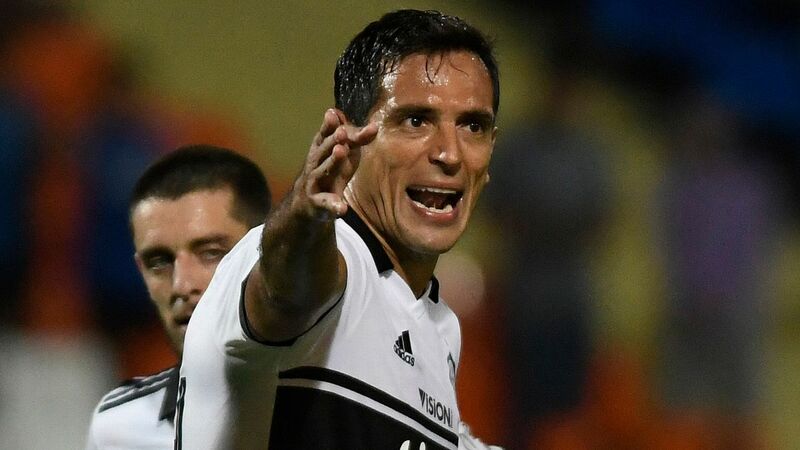 The only unbeaten team in the competition, Santos have developed into counter-attacking specialists since coach Levir Culpi took over, and, with the advantage of the away goal, can sit back and wait. But they are likely to be without key midfielder Lucas Lima, and Barcelona carry a powerful threat on the break; in the group phase they were at their most impressive with a 2-0 win on Brazilian soil. That came against Botafogo, who go into the best balanced tie of the second legs. Pragmatic and effective, Botafogo are happy to play within their limitations. Gremio, meanwhile, are a side with a delightful passing game. 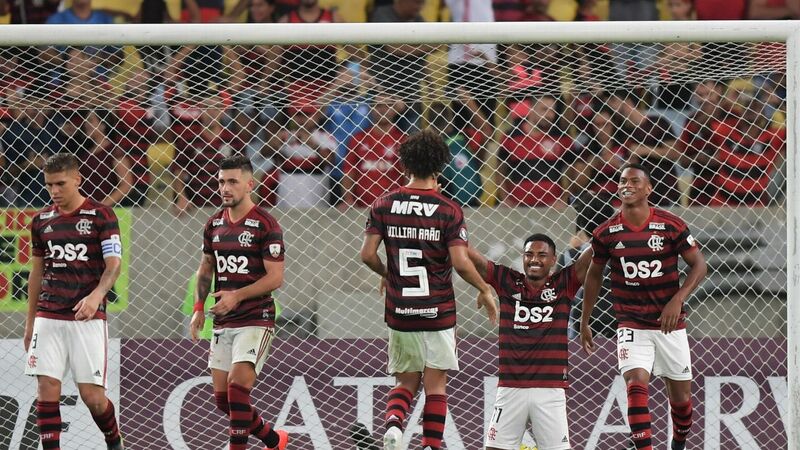 Last week they were without their two leading players, centre-back Pedro Geromel and intelligent support striker Luan, and Botafogo tried to make the most of their home advantage. A fine performance from Gremio midfielder Arthur prevented them from seizing the initiative. Reminiscent of a young Andres Iniesta, Arthur took responsibility so well that he was rewarded with a place in the Brazil squad for next month's World Cup qualifiers. Last week, then, ended goalless, leaving everything to play for in Wednesday's rematch. Gremio hope that Geromel and Luan will be fit to return, while Botafogo have faith in their capacity to break out and claim a vital away goal.